According to a study performed by the University of Birmingham in England, interiors of cars contain alarming amounts of bacteria. These germs are potentially dangerous to your health. So, if you don't already, it might be time to make cleaning your car's interior part of your routine maintenance schedule. Microbiology researchers at the University of Birmingham believe the inside of your car is a nest for germs. Here are some of the shocking findings from their study. A car interior may contain nine times more bacteria than a toilet seat. The steering wheel can contain over 700 types of bacteria per square inch. This is troubling considering you are always touching this part of the vehicle while operating it. Found among these bacteria were three common causes of either food poisoning or foodborne illness, including the E. Coli. They also found the type A influenza virus, mold, mildew and fungi. The researchers weren't too surprised by their findings because vehicle interiors are frequently exposed to moisture and heat. Bacteria and fungi favour these conditions. Also, people track dirt, mud, grim into their vehicles, and many eat in their cars as well. Because these bacteria are dangerous to your health and can trigger illness, this study highlights just how important it is to regularly clean and disinfect all of the surfaces in your car's interior. 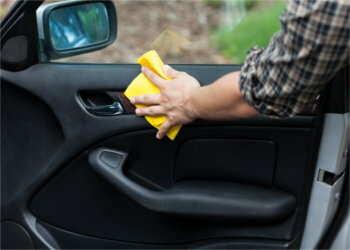 Car interior cleaning services can be expensive. All you really need is a can-do attitude and a little elbow grease. Here are some tips for cleaning your car's interior. You'll want something high-powered like a shop vacuum, or you can head to a car wash with coin-operated ones. A good tip is to remove your floor mats and shake them out before starting. All you need to do is be thorough and make sure you get every nook and cranny. After you have vacuumed, it's time to attack the trouble spots on the seats and floors. For carpet/fabric upholstery, you'll need cleaner or stain remover designed for it. And for leather, you'll need a special leather cleaner. Just follow the directions on the cleaner you choose. Start by dusting and wiping down the areas with a cloth. Next, apply vinyl cleaner to another cloth and wipe the surfaces (or leather cleaner if it applies). Don't forget about the steering wheel. You can use a window cleaner on a separate cloth for all plastic surfaces. Finally, most experts recommend that you remove excess moisture with a new cloth. Last but not least are the windows. Wiping them down inside and out with a cloth and glass cleaner is all there is to it. Some cleaners even contain a water repelling formula that will come in handy the next time there is precipitation. Not only will this make sure your car looks clean, it will also improve visibility. The study from the University of Birmingham shows just how important the cleanliness of your vehicle's interior is. Make sure that you take some time now and then to give it a little tender loving care. But maybe you need to buy a car first before you can start to worry about how clean the interior is. 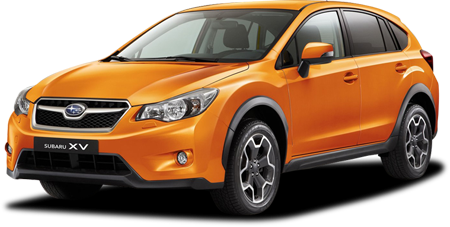 If you need to get approved for auto loan financing, Canada Auto Loan can help even if you have dinged credit. Our fast and free service can connect you a local car dealership that specializes in helping people in all situations. Get started today by completing our simple and secure car loan request today.